Midway through a recent neurological examination, one of my young patients answered her ringing cell phone (playing “Start Me Up” by the Rolling Stones) and proceeded to discuss what to wear to a party later that night. If you haven't had an experience like this, consider yourself lucky. In response to a survey, 78 neurologists ranked patients answering cell phones in the middle of an office visit among the top most bothersome patient behaviors. The survey was conducted by Houston neurologist Randolph W. Evans, MD, along with his daughter Rochelle, a graduate student in industrial and organizational psychology at Rice University, and his father, Richard, director of the Social Psychology/Behavioral Medicine Research Group at the University of Houston. They polled neurologists at the 2006 Texas Neurological Society Winter Conference (http://medgenmed.medscape.com/viewarticle/546878_1). Dr. Evans said he became interested in the idea of a survey when he read a New York Times article, “When the Doctor is In, But You Wish He Weren't” (Nov. 30, 2005). Of course, our specialty is not alone. According to a 2006 USA Today report, an increasing number of patients in an Arlington, TX, dental office used cell phones while dentists worked in their mouths and during tooth x-rays. With over 200 million cell phone subscribers in this country, and a wide range of attitudes toward phone etiquette, it's no wonder that physicians, too, are subject to these interruptions. When it comes to cell phone use and other disruptive behaviors in the office, can anything be done? “Any interruption that interferes with the ability of neurologists to concentrate fully and intensely on their tasks is potentially detrimental to patient care,” said Dallas neurologist Jorge A. Romero, MD. “That is why tolerance for cell phones in the examining room should be zero – you would not expect any professional performer, athlete, or musician ever to perform with such distractions,” he added. “Many of these instances of objectionable behavior boil down to manners,” said Dr. Romero. “One of the hallmarks of an educated and socially adept person is adaptability: the ability to be gracious and polite even when others are not,” he explained. He also hopes patients follow his example. He doesn't allow interruptions of the visit, except in true emergency situations. He doesn't answer pages or his own cell phone, and he tells his staff to pull him out only in case of emergency. “I expect similar respect and consideration on the part of the patient,” he said. Likewise, many neurologists consider children who misbehave to be disruptive. While most understand situations when childcare cannot be arranged, they also acknowledge that it is difficult to pay full attention to a patient when a child is running around the office. “The main problem with small, explorative children,” said Oakland, CA, neurologist D. Eric Collins, MD, “is that we have limited office space; our EMG machine is in the exam room. Not only is this equipment costly to repair if yanked to the floor, but we have the sharps container for the used needle electrodes on the EMG cart,” he added. Dr. Collins said that he tries to avoid the situation by explaining to patients why it would be unsafe to bring their children into the exam room. Expressions of verbal abuse to the staff ranked highest as the most bothersome behavior reported by neurologists in the Texas Neurological Society survey. This is typical of other reports. In a survey of 330 members of the Society of General Medicine (J Gen Intern Med 2000 November;15(11):770–775), Neil J. Farber, MD, and colleagues found that 43 percent of respondents had encountered verbal abuse. Most dealt with transgressions by speaking to the patient or to colleagues, or by ignoring the incident, but such transgressions generally had a negative impact on the relationship. Most admitted that they would discharge patients who engaged in physical abuse or attempts at sexual contact, but they were more tolerant of verbal abuse and overly affectionate patients. Dr. Evans said no-shows for new appointments top his list. Many neurologists agree: no-shows for appointments, previously discussed in Neurology Today (July 2003: “Practice Strategies to Reduce No-Shows”), were a close runner up in the Evans survey. Dr. Romero's practice warns patients that no-shows may be billed. His office gives the patient a sheet entitled “Patient Instructions,” which includes his handwritten instructions on how to take medications, the patient's diagnosis, tests ordered, and their next appointment. The patients sign a statement to acknowledge receipt of instructions, the appointment date, and the notification of no-show policy. “Because we keep a copy of the signed instruction sheet, signed by both the patient and by me,” said Dr. Romero, “arguments about wrong appointments have dwindled to nothing.” He also discharges patients from his care if they repeatedly don't show up for appointments three times without notice. Sometimes no-shows are even more annoying to neurologists when they are followed by calls with requests for medication refills. Under these circumstances, Robert E. McMichael, MD, JD, offers his Arlington, TX, patients follow-up appointments on the day of the call or the following day. Alternatively, neurologists call in a limited prescription for the number of days until a re-scheduled appointment can take place. Dr. Evans agrees that providing patients with clearly-written expectations through practice policies may help reduce bothersome behaviors. “Others are best handled through ongoing communication and education,” he added. His survey also addressed behaviors that physicians fully accept: not being paid when patients have financial hardships, dealing with patients with psychopathology, anxiety about illness, multiple or complicated medical disorders, or medically unexplained disorders. And sometimes knowing that you are not alone in your experiences can help. When I invited discussion on this topic on one listserv, I was flooded with responses. Venting to others can't hurt. Give the patient written notice, preferably by certified mail, return receipt requested. Provide the patient with a brief explanation for terminating the relationship; this should be a valid reason such as non-compliance or failure to keep appointments. Agree to continue to provide treatment and access to services for a reasonable period of time, such as 30 days, to allow a patient to secure care from another physician; a physician may want to extend the period for emergency services. Provide resources or recommendations to help a patient locate another physician of like specialty. Offer to transfer records to a newly-designated physician upon signed patient authorization to do so. 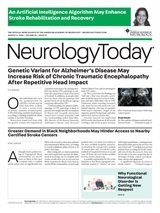 Neurology Today7(1):21,22, January 2, 2007.